Paddy Hirsch has worked in public radio at NPR and Marketplace for ten years. He came to journalism after serving for eight years as an officer in the British Royal Marines, and lives in Los Angeles. 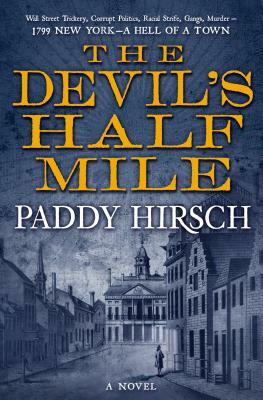 While The Devil's Half Mile is his fiction debut, Hirsh has also written Man vs. Markets, a nonfiction book explaining economics.